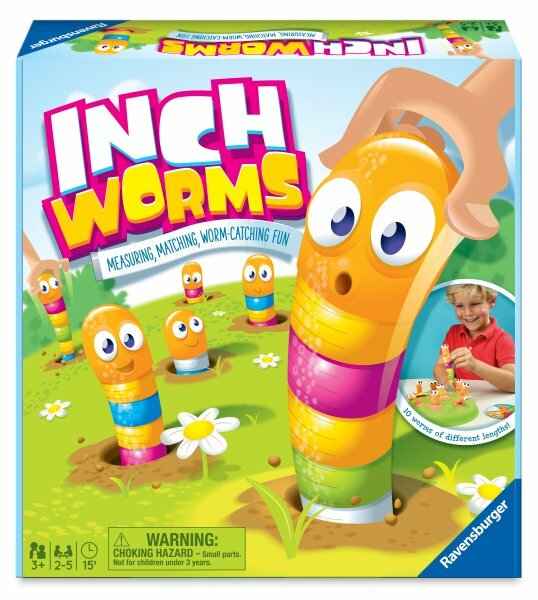 Available exclusively at Walmart, Inch Worms offers brightly-colored fun for younger gamers. Colorful Inch Worms live in their grassy mound, until the double-sided spinner instructs players to pull them out to find a matching color. If you don’t see the color you’ve spun – keep pulling! When all of the worms have been found, piece them together to see who has the longest worm. This quick-play game promotes color recognition, counting and collaborative play. Ages 3 & up | 2-5 Players | MSRP $14.99 | Walmart.